Following months of speculation, Omnicom and McDonald's announced the launch of their new dedicated unit We Are Unlimited today in Chicago. The shop will go by Unlimited and serve only the fast food giant, with former BBDO New York senior director Brian Nienhaus acting as CEO and reporting directly to Wendy Clark, the DDB North America chief executive who led the McDonald's pitch. "Brian's experience leading integrated teams that span digital, social, sponsorships and traditional advertising working across multiple Omnicom sister agencies, many of whom are part of Unlimited, has uniquely qualified him to take the reins as CEO of this agency," said Clark in a statement. Clark and McDonald's CMO Deborah Wahl referred to the unit as an "agency of the present" at Advertising Week in 2016, in referring to what they claim to be an unprecedented degree of integration. To that point, Unlimited includes "embedded" teams from such disparate organizations as The Marketing Store, Facebook, Google, Twitter, Adobe and The New York Times' T Brand Studio in an attempt to more effectively coordinate all of the chain's massive marketing efforts. "Whether it's a social post, an anthemic film or in-restaurant messaging, we are confident that analytically inspired, creatively driven thinking and work from Unlimited will help shape McDonald's marketing in completely new ways to break new ground and fuel increased business impact," said Wohl. McDonald's consolidated its marketing business with Omnicom in August following a four-plus month review, thereby ending a 35-year relationship with Publicis and Leo Burnett Chicago. The review initially included all three of the industry's largest holding companies, but WPP dropped out in May, allegedly in response to contractual agreements that would have the winning unit operate at cost until reaching unspecified revenue goals. McDonald's never commented on what some in the industry called "unheard of" demands. 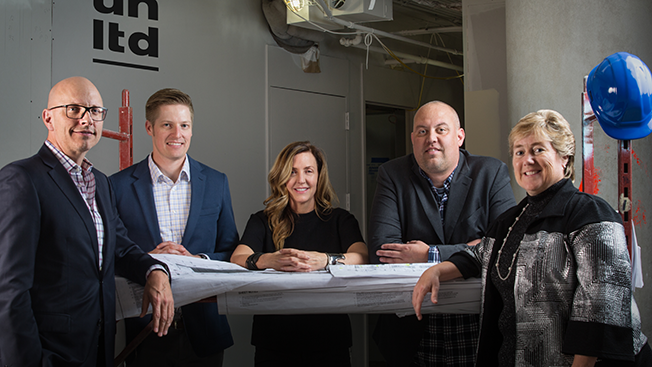 In addition to Nienhaus, several other agency veterans will assume leadership positions at Unlimited. John Hansa, who led the McDonald's creative work at Leo Burnett, will be executive creative director; Jon Ellis of DDB (who also worked on the McD's account there) will be chief production officer; former Element79 controller Linda Poe joins Unlimited as chief financial officer; veteran strategist Graceann Bennett will serve as chief strategy officer; Chip Knicker, who managed ecommerce for Accenture North America, will be chief digital officer; The Marketing Store's former svp, account director Ursula Ostrom will serve as svp and group director. Nienhaus said, "I'm incredibly honored to assume a leadership role in changing the way agencies deliver client solutions. To do so in partnership with McDonald's, one of the world's most iconic brands, and the stellar team we've brought together, is both exciting and humbling." He promised that the agency, which will employ approximately 200 "brand practitioners" in its new Chicago headquarters, will be fully staffed by the time operations officially begin on January 1, 2017. McDonald's spent approximately $820 million on measured media in 2015 according to Kantar Media.